How exactly do you make a monster? 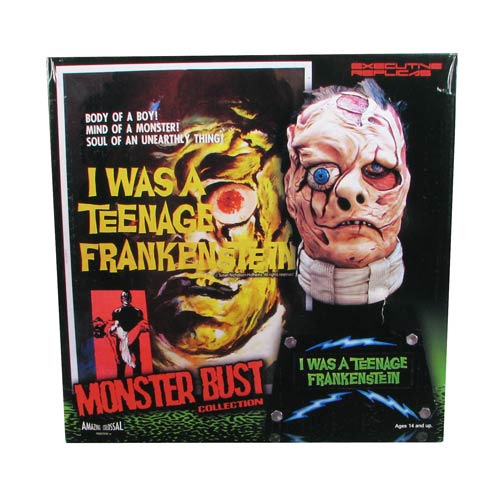 Frankenstein Monster Bust measures 18-inches tall! Limited edition of just 200 pieces. Expand your classic horror film collection! Expand your classic horror film collection! From the 1958 How to Make a Monster film and 1957 I Was a Teenage Frankestein film, comes the one-and-only Frankenstein. This resin I Was a Teenage Frankenstein from Executive Replicas offers the misunderstood monster like you've never seen him before! The unbelievable 3:4 scale statue measures 18-inches tall and is a limited edition of just 200 pieces. Make him yours!